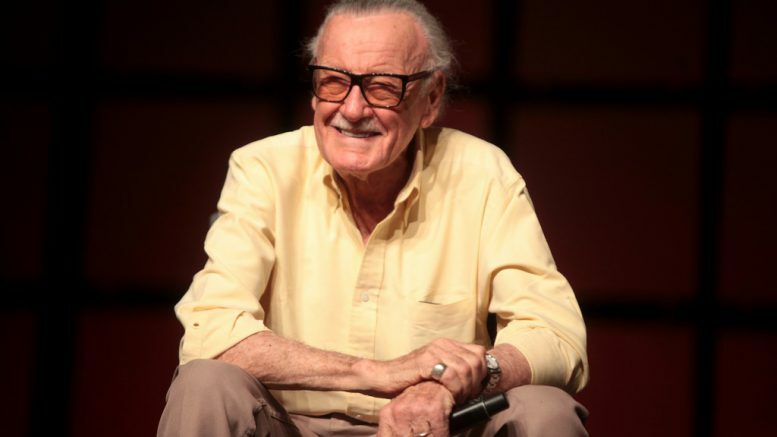 Stan Lee, Marvel icon, died on November 12 at the age of 95. Many remember him as the overseer of the company’s emergence as an international media giant, a writer, editor, publisher, Hollywood executive, and tireless promoter of Marvel. Lee began work in the comic universe in 1939, creating and co-creating Spider-Man, Daredevil, Ant-Man, Doctor Strange, Gwen Stacy, Loki, and Doctor Doom, among scores of other characters. The most iconic Marvel creations often were credited to Lee and one of his collaborators and illustrators, Jack Kirby, who passed away in 1994. They thought up the Fantastic Four, Mighty Thor, Black Panther, the Incredible Hulk, Black Widow, Iron Man, and The Uncanny X-Men. Lee was also known for his cameos in the Marvel Cinematic Universe. While most Marvel fans recognize him from the movies, he actually started his cameos in the comics way back in the 1960’s. “The artists back then would draw me in as a joke or just to have fun,” Lee told Business Insider in a 2015 interview. According to Lee, his cameos continued because the audience enjoyed them and Marvel’s existence was dependent on comic books and the entertainment of their audience. The near future of Lee’s cameos is secure: he had completed the filmed footage for his cameo in the upcoming fourth Avengers film prior to his death and will make a cameo in animation form in Spider-Man: Into the Spider-Verse. However, it hasn’t been confirmed if he will appear in Captain Marvel, Spider-Man: Far From Home, or X-Men: Dark Phoenix. Here’s a deeper look into a few of Lee’s most notable characters from across the last 50+ years. Cameos by Lee: Lee’s first ever cinematic cameo came in 1989 when he played the role of a juror in The Trial of the Incredible Hulk. In Hulk, Lee appeared as a security guard. When Hulk returned in 2008, Lee was credited as a “Milwaukee man drinking from bottle”.Lee returns as an interviewee on a news channel when the first Avengers movie was released. When Avengers: Age of Ultron hit theaters audience’s could spot Lee as a World War II veteran who drinks with Thor and Captain America. Cameos by Lee: In Spider-Man (2002) Lee is bystander who shields a young girl from debris. He returns to heroism in Spider-Man 2 when he saves a woman from falling debris. Later, Lee is credited in Spider-Man 3 as “Man in Times Square” when he appears and speaks with Peter Parker. He returns in 2012 as a school librarian besides a new Spider-Man. In the sequel to The Amazing Spider-Man, Lee fulfills the role of a graduation guest. Yet another actor becomes Spider-Man in 2017, when Lee yells from out a window at Spider-Man for causing a ruckus. In Avengers: Infinity War Lee is the bus driver on Peter Parker’s bus when students are startled by the sight of a giant spaceship. Cameos by Lee: In X-Men (2000) Lee is credited as a hot dog vendor who appears on the beach. In the sequel, X-Men: The Last Stand, he is an old man watering his lawn. In X-Men: Apocalypse Lee is seen clutching his real wife Joan, in her last film appearance before her death the following year, as missiles launch. He appeared in a Deadpool 2 teaser trailer that ultimately wasn’t screened in theaters but is available online. The above list shows how ingrained Lee’s characters are in pop culture. All of them were introduced in the 60s and most were televised by the 70s. While a considerable number of people have seen a Marvel movie, quite a few people haven’t. Despite this, when they are shown an image of The Hulk or Spider-Man, they are able to identify exactly who they are. People, like your grandmother, who might not even know who Stan Lee was or what Marvel Comics is can recognize Lee’s creations. References to his characters can be found littered throughout all forms of mass media. Songs like Childish Gambino’s “Not Going Back”, “Come Back Season” by Drake, and David Bowie’s “Blackstar” contain lyrics that mention Spider-Man, the X-Men, or Marvel as a whole. Stan Lee’s characters may save the world– but he changed it. Even though he is gone, his superheroes and villains will forever remain a part of society that carries his legacy into future generations and beyond. Be the first to comment on "Stan Lee: Superhero Legend"